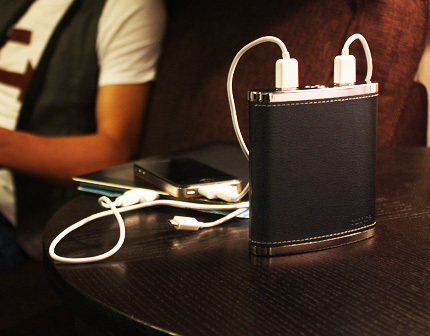 PowerFlask is slick charging solution for people who use multiple devices like tablets, smartphones, mp3 players, etc throughout the day. 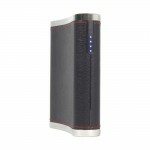 It packs a 13,000 mAh rechargeable lithium-ion battery which you can use to supplying extra juice for devices on-the-go. The PowerFlask has two ultra-bright flashlight LED’s on the top in case you’re in an emergency situations. 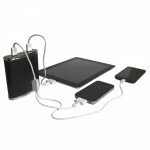 You can simultaneously charge three devices with it comes with two 30-pin iPad/iPhone connectors, a USB-to-Micro-USB charging cable, a USB-to-Dual-Micro-USB charging cable, and a USB power adapter. Basically, you can connect most anything (iPhone, iPad, iPod, Windows and Android smartphones) to it and it’ll supply some extra juice… all while looking swank. The PowerFlask offers a new twist on an existing product. 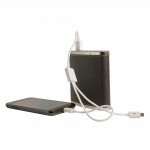 We took a traditional power bank and encased it in a fun package- a flask,” says Brian Austin, President of Digital Treasures. “However, don’t let the look of this fool you. 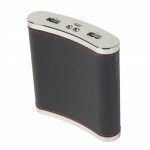 The rechargeable lithium battery packs serious power which is perfect for fully charging multiple gadgets at once. 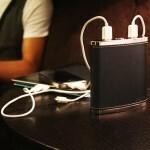 In fact, the PowerFlask can charge two iPads and an iPhone at the same time! 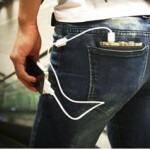 There aren’t many chargers on the market with that kind of power. PowerFlash is made by Digital Treasures and sells for $89.95 on their site. Alternatively, you can pick it up on Amazon for $69.99. amazon has it for $91, not 69……where did you get that price from? if accurate, i would appreciate knowing because i too want this thing…..especially with golf season about to kick off.